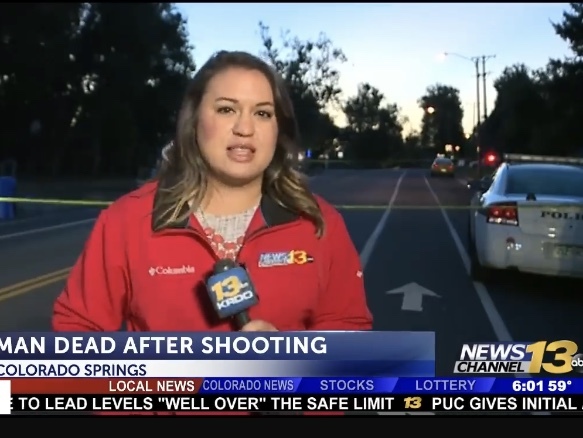 KRDO reporter Krystal Story and her photographer Pete Miller are OK but emotional after yesterday’s near death experience in Colorado Springs, Colo.
TVSpy reported that Story was doing a live shot covering an overnight shooting for the morning show when a driver ran through crime tape. “Watching that video, it’s hard,” she said in a live shot following the incident. The car’s side mirror hit Miller, but he’s not harmed. 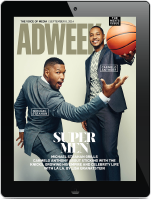 “Just by inches, we didn’t get hit by that car,” said Story. The driver was arrested at the scene immediately following the crash, which police determined was accidental.